The company has a long history of supporting social justice issues. Ben & Jerry’s new ice cream flavor supports grassroots activists fighting for gender equality, racial justice, and climate action, issues that are championed by the United Nations’ Global Goals. You can join us in taking action on these issues here. Delicious ice cream, puns, and political activism have been three pillars of the Ben & Jerry brand for decades. In recent years, the brand’s founders have been focusing more on the political activism part, stumping for former presidential candidate Bernie Sanders, supporting refugees and immigrants, and fighting mass incarceration. Now the famous duo are introducing a new ice cream called “Pecan Resist” to support women activists on the frontlines of climate and social justice issues, according to USA Today. The brand is donating $100,000 in proceeds to four grassroots groups — Color Of Change, Honor the Earth, Women’s March, and Neta. 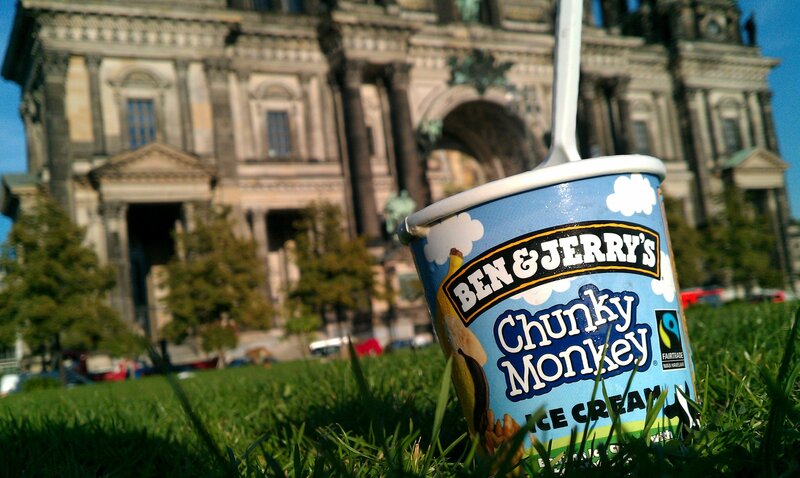 Read More: These Ben & Jerry’s Flavors Are Facing Extinction. Thanks, Climate Change. The name of the new flavor, Pecan Resist refers to the rallying cry “resist” that has become popular among people opposed to the policies of US President Donald Trump. 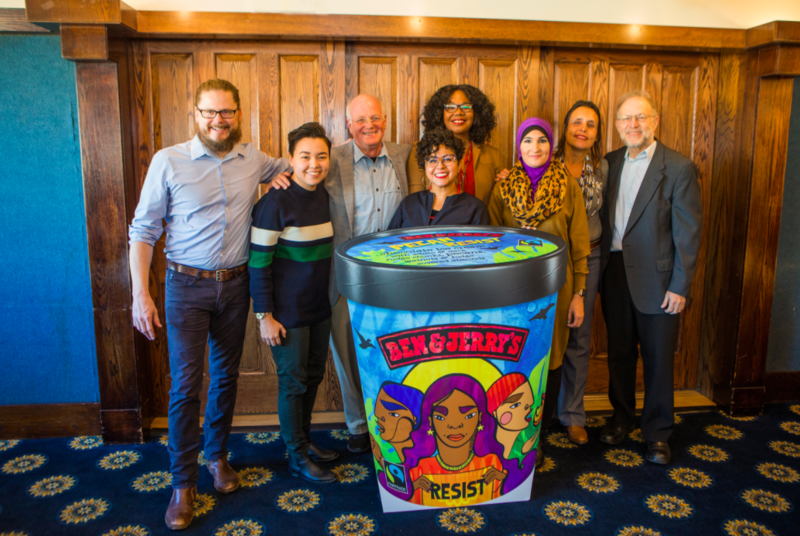 Ben & Jerry’s has positioned inside this “resistance” movement since the 2016 presidential election and has used its ice cream to spread messages of dissent. For example, after President Trump introduced a travel ban aimed at Muslim immigrants, the ice cream company called the idea “half-baked,” referring to its iconic flavor, and highlighted its support for the International Rescue Committee. The four organizations that Ben & Jerry’s is supporting through Pecan Resist are outspoken advocates of racial, gender, and climate justice. Color of Change seeks to end policies that disproportionately harm black people; Honor the Earth raises awareness about indigenous and climate issues; Women’s March organizes grassroots protests and campaigns aimed at empowering women; and Neta is an independent media organization along the Texas-Mexico border run by people of color. "We couldn't be prouder or more excited to support these four organizations that are doing incredible work every day," Ben & Jerry's CEO Matthew McCarthy said in a statement. "Our goal is to use our company's voice, our ice cream, and our activism to encourage all Americans to support and help build these movements which counter the current regressive agenda. We think it's more important now than ever that citizens and businesses alike stand up and be counted."